Developed by The Foundation for Young Australians, WOW stands for Worlds of Work. It’s a careers education resource for all teachers of secondary students that does things differently. It seeks to connect all Australian secondary school students with life beyond school through their own investigation into what it takes to succeed in the world of work. Here’s the kicker: while students learn about the world of work they’ll actively develop and reflect on the skills and aptitudes required to succeed in it. WOW also engages parents and carers so that they have the knowledge and understanding required to support their child in the transition beyond school so that Australian kids have the best chance to succeed in life and work. Click here to access the World of Work lessons. These lessons can be used with all the learning areas of the Australian Curriculum, and have been explicitly mapped to the Year 7 – 10 English and Work Studies content strands. 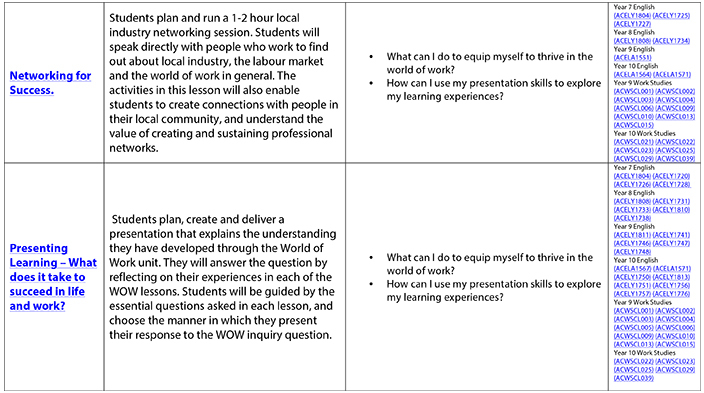 The resource is made up of a series of sequenced activities that connects what students are learning in their subject areas with skills and knowledge required to be successful in the world of work. As a teacher, you can use any of these lessons to enhance your student’s capacity to connect with life beyond school. 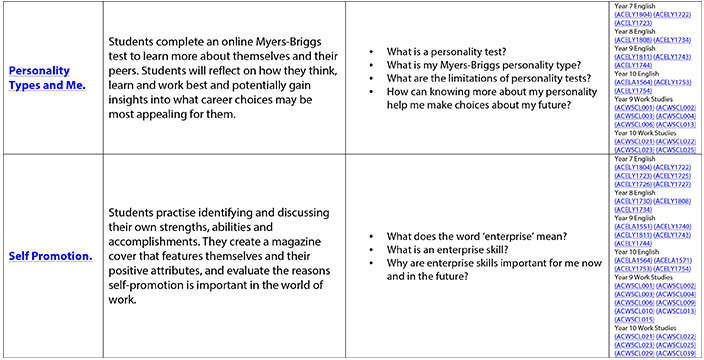 Before starting a unit of study in Science, deliver the Personality Types and Me lesson, then link careers in Science with student’s personality types. Introduce your Maths students to community members who have a career in Maths, and ensure they’ve got the WOW factor in Communication by delivering this lesson first. 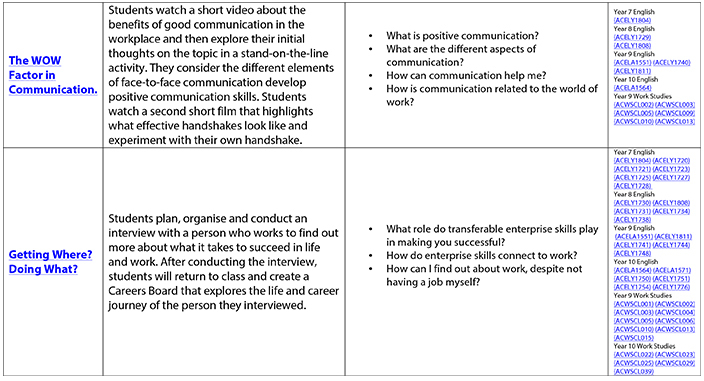 Deep dive into Enterprise skills with your Business Studies students by delivering the Skills for Success lesson. 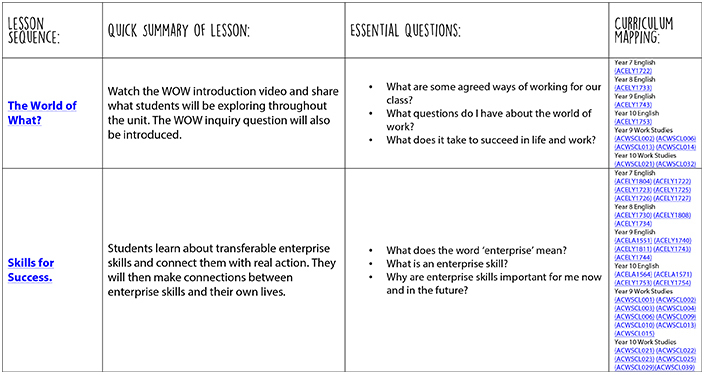 Build important work skills and encourage your students to be curious and self-motivated by delivering all WOW lessons as an inquiry unit. Download the WOW UNIT OVERVIEW here.